Noah Baumbach’s new comedy While We’re Young is now screening at the IFI and to celebrate, we have a fantastic bundle of retro merchandise to give away, courtesy of the film’s distributor Eclipse Pictures! 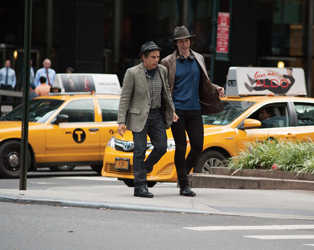 Frances Ha director Noah Baumbach’s comedy of generational conflict sees a 40-something couple facing stagnation. Josh (Ben Stiller) is a documentarian struggling to complete his latest film after eight years of work, and still striving for the approval of his mentor/father-in-law (Charles Grodin). Meanwhile, Cornelia (Naomi Watts) feels increasingly alienated from her friends who are starting families while she and Josh remain childless. A chance encounter with an achingly hip young couple leads to a rejuvenating friendship, offering Josh the chance to act as mentor himself to budding filmmaker Jamie (Adam Driver), while Cornelia is inspired by Darby (Amanda Seyfried) to push her personal boundaries. Ultimately, relationships are compromised by the individual agendas pursued, depicted by Baumbach in a range of comedy styles, from Woody Allen-influenced dialogue to gross-out moments, while also offering a subtle reflection on the ageing process and waning creativity. 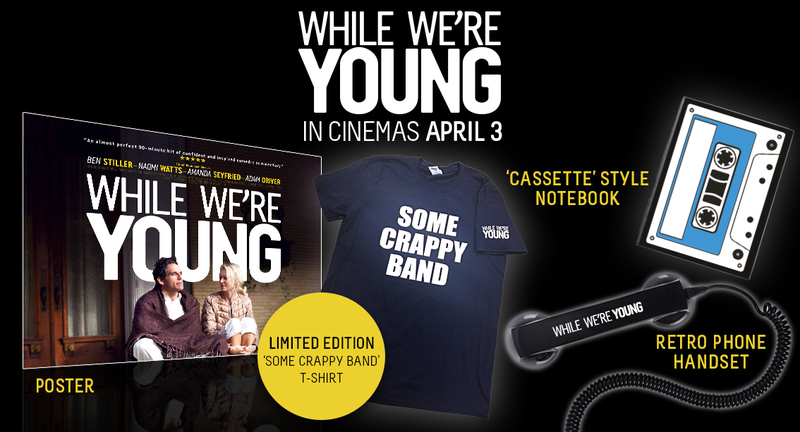 Celebrating the release of While We’re Young, we would like to offer a mega prize bundle of retro style merchandise from the film, including a cassette style notebook, ‘Some Crappy Band’ t-shirt and an old-school phone handset, to one lucky winner! To enter, simply answer the question below and we will pick a winner on Friday, April 10th. Who was Director Noah Baumbach’s co-writer and star on his previous film Frances Ha?